What is the Bible? At face value, that’s a straight forward question and many common answers immediately come to mind. Like: God’s Book, God’s Love Letter, the book of the Church, the Christian Scriptures, the world’s best-selling book of the year every year, the foundational book of Western culture, and a collection of texts sacred in Judaism and Christianity. The Bible is an intricate tapestry of two stories – God’s and ours – each connected to the other. Every thread illuminates our lives – each stitch reveals the Weaver who gives life. Broadly conceived, the tapestry portrays Jesus, and how we’re woven in or out of His narrative. So from your perspective, what is the Bible? Feel free to make a comment. Categories: Encounter | Tags: Definitions of the Bible | Permalink. The challenge – never negligible – regarding the Christian Scriptures is getting them read, but read on their own terms, as God’s revelation. What is neglected is reading the Scriptures formatively, reading in order to live. In order to read the Scriptures adequately and accurately, it is necessary at the same time to live them … not to live them in consequence of reading them, but to live them as we read them. The Bible reveals the self-revealing God and along with that the way the world is, the way life is, the way we are. 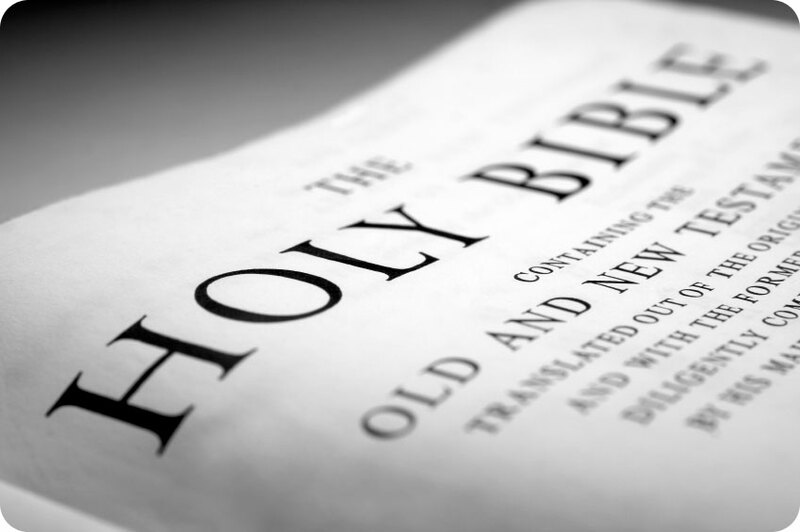 The Bible is basically and overall a narrative – an immense, sprawling, capacious narrative. The biblical story invites us in as participants in something larger than our sin-defined needs, into something truer than our culture-stunted ambitions. When we submit our lives to what we read in Scripture, we find that we are not being led to see God in our stories but our stories in God’s. Scripture is the revelation of a world that is vast, far larger than the sin-stunted, self-constricted world that we construct for ourselves out of a garage-sale assemblage of texts. Scripture draws us out of ourselves, out of our fiercely guarded individualities, into the world of responsibility and community and salvation – God’s sovereignty. It takes the whole Bible to read any part of the Bible. One of the most urgent tasks facing the Christian community today is to counter self-sovereignty by reasserting what it means to live these Holy Scriptures from the inside out, instead of using them for our sincere and devout but still self-sovereign purposes. We are fond of saying that the Bible has all the answers … But the Bible also has all the questions, many of them that we would just as soon were never asked of us, and some of which we will spend the rest of our lives doing our best to dodge. A simple act of obedience will open up our lives to the text far more quickly than any number of Bible studies and dictionaries and concordances. The biblical story pulls the holy community – not just you, not just me – into the story in a participating way. If we are to get the full force of the word, God’s word, we need to recover its atmosphere of spokenness. The primary organ for receiving God’s revelation is not the eye that sees but the ear that hears – which means that all of our reading of Scripture must develop into a hearing of the word of God. The Scriptures are our listening post for learning the language of the soul, the ways God speaks to us; they also provide the vocabulary and grammar that are appropriate for us as we in turn speak to God. Contemplation simply must be reclaimed as essential in all reading and living of Scripture. It is not an option; it is necessary. The words of Scripture are not primarily words, however impressive, that label or define or prove, but words that mean, that reveal, that shape the soul, that generate saved lives, that form believing and obedient lives. 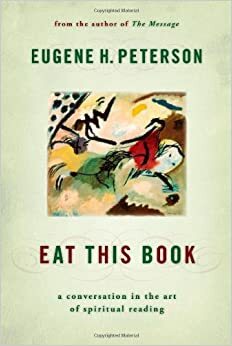 Categories: Interaction, Transformation | Tags: Bible reading, Eat This Book, Eugene Peterson, Formative Bible reading, Spiritual reading | Permalink.